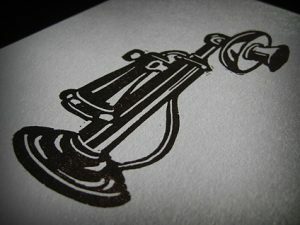 Telephone Linocut – Tin Can Valley Printing Co. Printers proof of a linocut. Redrawn from clipart found in an old newspaper.